He’s handsome, articulate, fluent in English and Spanish and can fight. 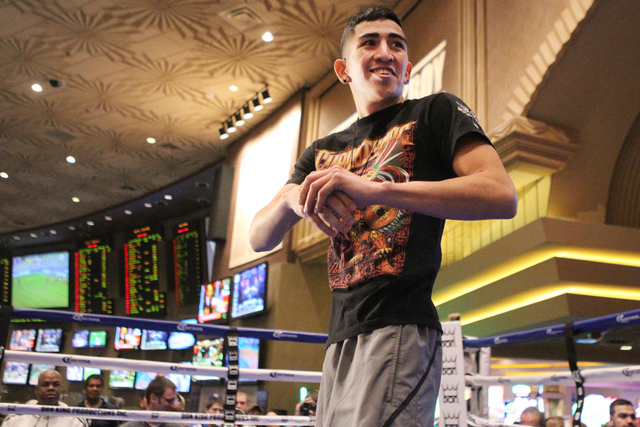 So what’s not to like about Leo Santa Cruz? He’s handsome, articulate, fluent in English and Spanish and can fight. 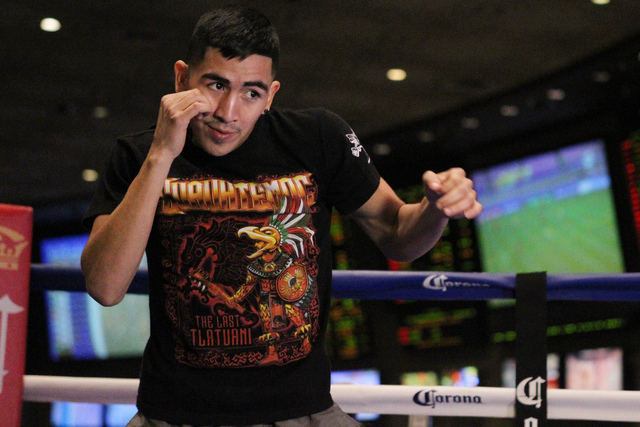 So what’s not to like about Leo Santa Cruz? Nothing other than the fact that the opposition lately for the 26-year-old from Los Angeles has left much to be desired. 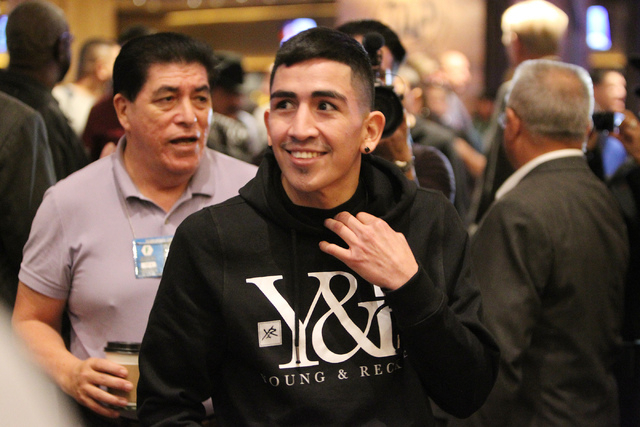 And that has left boxing fans frustrated because they want to see Santa Cruz fight the likes of Abner Mares and Guillermo Rigondeaux, either of whom would make exciting opponents. Santa Cruz, the World Boxing Council super bantamweight champion, is expected to defeat veteran Jesus Ruiz on Saturday at the MGM Grand Garden in the co-feature to the WBC heavyweight title fight between Bermane Stiverne and Deontay Wilder on Showtime. Santa Cruz (28-0-1, 16 knockouts) said if it were up to him, he would fight Mares or Rigondeaux. But he doesn’t make that call. That’s up to his adviser, Al Haymon, and his promoter, Golden Boy Promotions. There has been talk of a catch-weight fight at 124 pounds between Santa Cruz and Mares, the former WBC featherweight champ, who lost his title to Jhonny Gonzalez in August 2013 but has won his past two fights. Santa Cruz said he would have no problem with that. One option would be Rigondeaux, who owns the World Boxing Association and World Boxing Organization belts at 122 pounds. Another option would be a fight with International Boxing Federation champ Carl Frampton. Santa Cruz said if there’s not going to be a unification bout with Rigondeaux or Frampton, then there might not be any point in staying at super bantamweight. As for the present, Santa Cruz said he will not overlook Ruiz (33-5-5 with 21 KOs) in what will be the fourth defense of his title. Santa Cruz, a former bantamweight world champion, won the super bantamweight belt in August 2013 when he knocked out Victor Terrazas. Ruiz has won five straight fights, the most recent a 12-round unanimous decision over Leonilo Miranda on Nov. 7 in Mexico. 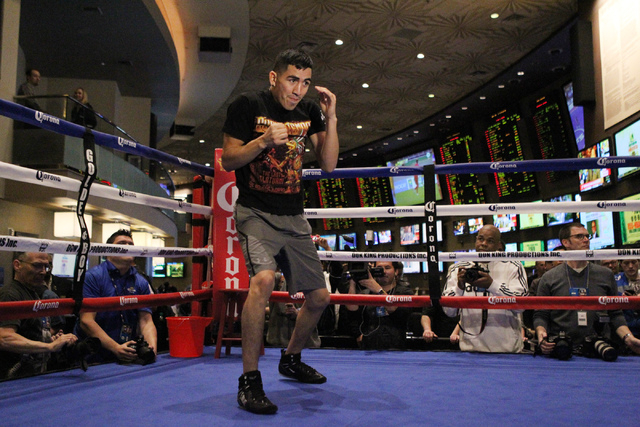 Santa Cruz, who made easy work of Jose Roman in his most recent outing, a second-round technical knockout on Sept. 13 at the MGM Grand Garden, said he has been working on increasing his power. Already a lethal puncher, he said he needs to get stronger and make his punches have more impact. 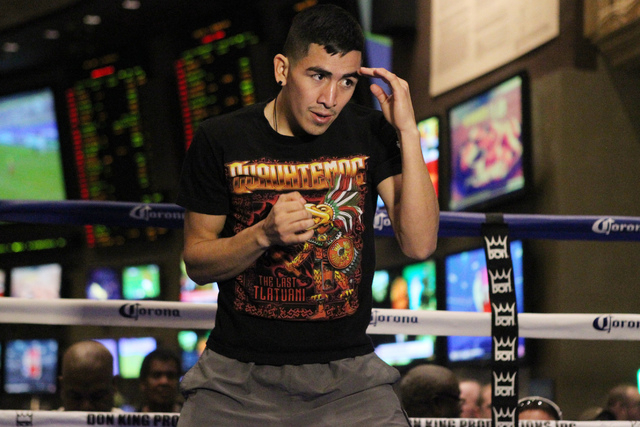 Santa Cruz said he wants to be active in 2015, and getting a fight early in January bodes well for a potential busy year. ■ NOTES — Friday’s weigh-in at the Grand Garden begins at 2:30 p.m. Doors will open at 1. 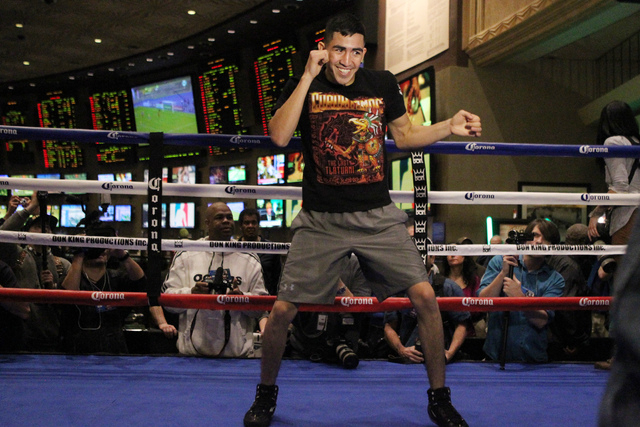 … There’s no betting line at the MGM on Santa Cruz-Ruiz. Santa Cruz is minus-5,000, with Ruiz at plus-1,400, at offshore books. … Wilder is a minus-165 favorite with Stiverne at plus-135 at the MGM. … The Showtime telecast starts at 7 p.m.